One issue for some, if you can even call it that, with the Nexus 7 and other newly introduced Android devices, is the lack of an auto-rotate option on home screens. While these devices rotate just fine while in an app, there are those that strongly wish to see them also rotate for landscape fun before launching into apps and other activities. 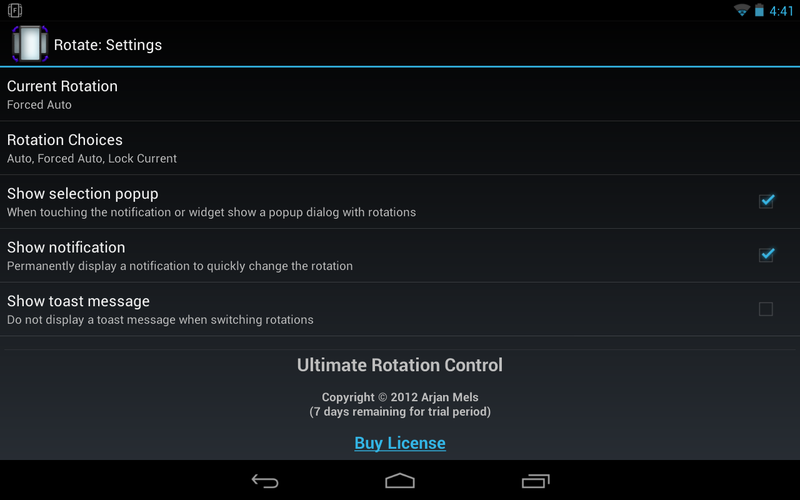 Enter Ultimate Rotation Control, an app that has exploded in popularity over the last week thanks to the launching of the Nexus 7. 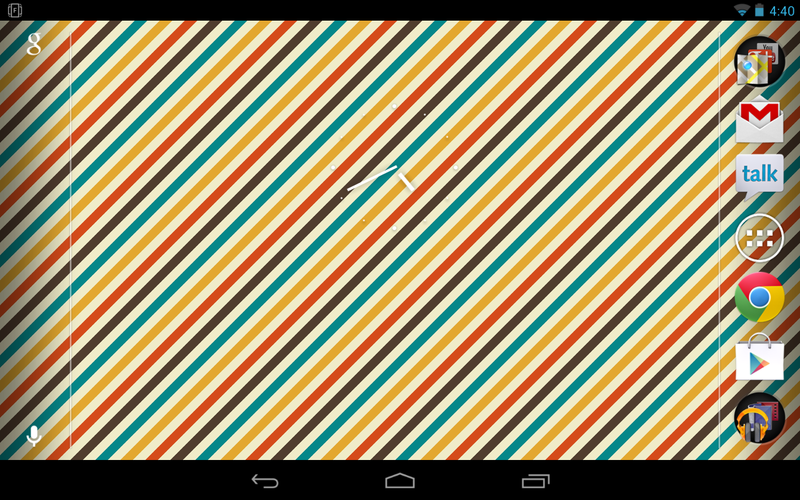 In fact, if you cruise through the comments, you’ll notice that the majority mention Google’s new affordable slate. So what can you do with URC? Well, it’s pretty simple. 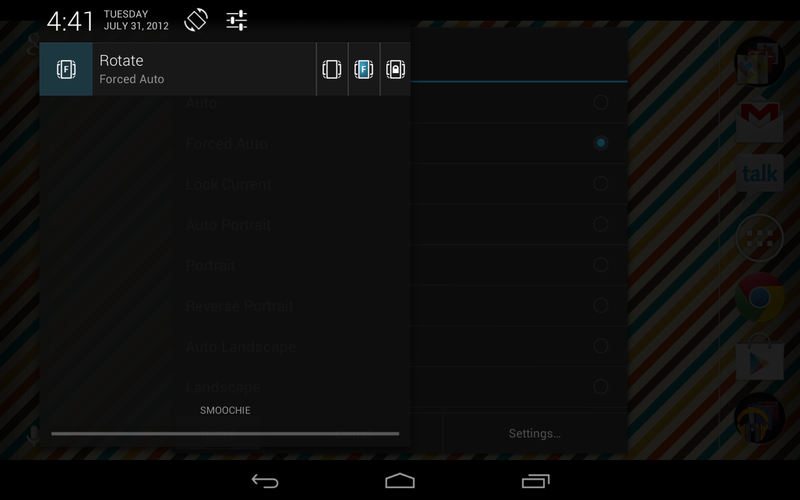 Install it, find it in your app drawer (called “Rotate”) and launch it. Once launched for the first time, you’ll find it active in your notification area as an ongoing notification. 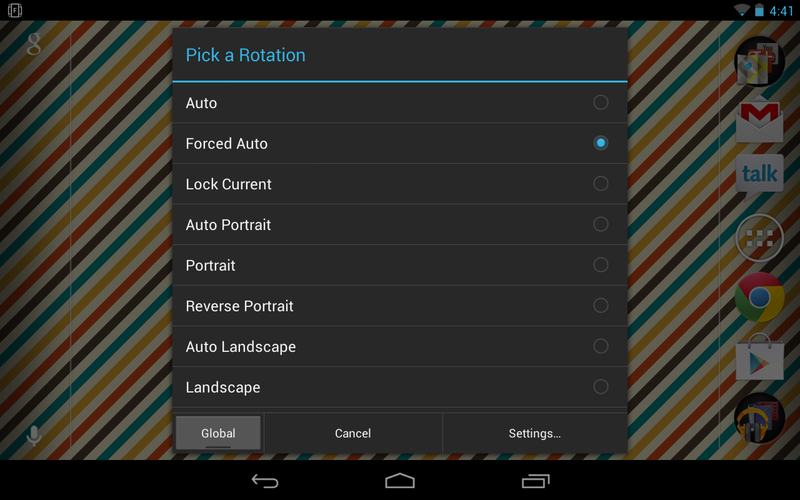 You can manually toggle rotations from any screen, allow the system to take back control, or lock an orientation in place. The coolest feature may be the per app control you have, which allows you to specify an orientation for each of your apps, should you find some extra time on your hands. It certainly works as advertised. The app is free in the Google Play store for 7 days. Once the 7-day trial ends, you can purchase it for $2.99.